A classic canyon trail, the Browns Creek Slot Loop box canyon is an exciting challenge and includes a number of swimming pools that can range from waist to chest-deep. 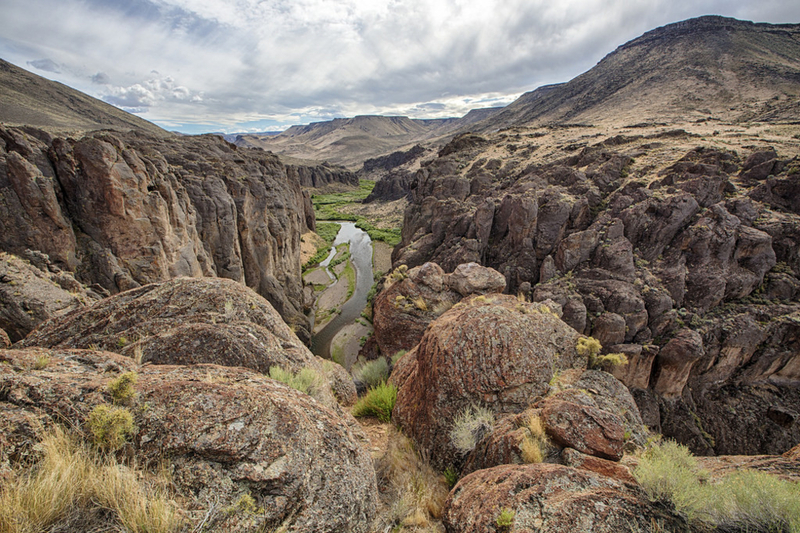 Idaho’s Owyhee Canyonlands are a rugged, stark environment of contrasts and harsh but magical beauty. Wide ravines lead upwards narrowing to rock-slide gullies or cliff walls, ending in sharp rock formations or tall ridgelines where they meet the sky. Between the ravines and ridges that seemingly roll endlessly in all directions, wide plains stretch to the horizon. The Owyhees offer a wilderness lover ample solitude despite only being an hour from Boise, depending on your point of entry or trailhead. 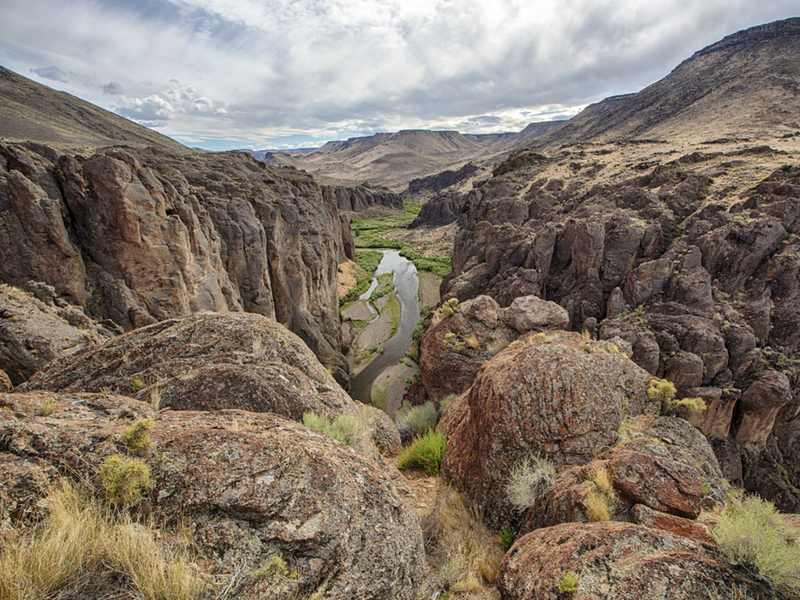 One classic canyon trail, Browns Creek Slot Loop, is the perfect example of the Owyhees' gorgeous geologic diversity. From the trailhead, you’ll reach the canyon entrance after about a mile. It can be cold in the canyon, especially as you begin to encounter and get into water, so be sure to wear warm, quick-drying gear. Several scrambling climbing sections can be challenging so bring ropes and be prepared to help hiking companions get through. If the canyon climbing is too intense, you an climb out along the west side, otherwise, continue on to the top another mile and a half. You’ll eventually pop out on a flat plain where you can head down the draw for views from a knobby hill or loop back around to the trailhead. Most exploration in the Owyhees requires strong navigational skills—there is very little signage and the features of the land and bends in the trail often look nearly identical to all the others you’ve passed before. It is easy to lose your way. Let someone know where you’re going, go with a buddy, have GPS tools, and know how to use them. Also, the land can quickly become a sticky, slip-sliding mess when it rains. If you do get stuck in a storm, watch for flash floods, and if stormy weather is predicted consider postponing for a drier day. 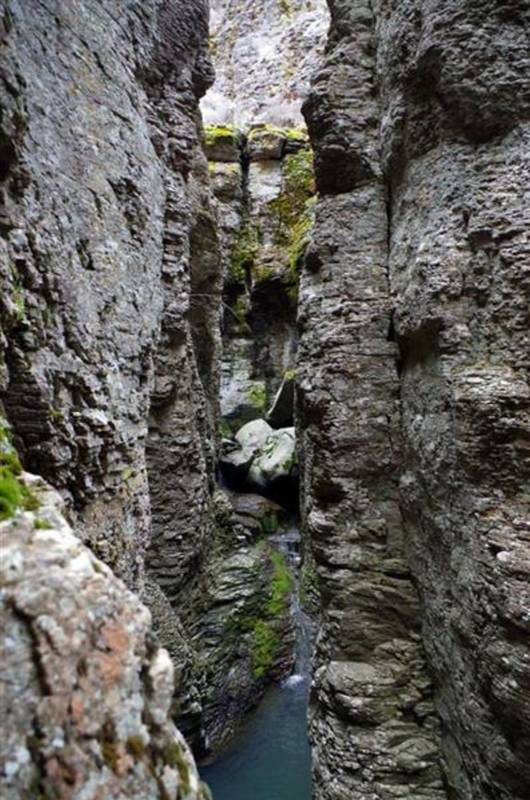 Just over 3 miles long, navigating this box canyon is an exciting challenge and includes a number of wading pools that can range from waist to chest-deep. Directions to the trailhead from Stueby's Outdoor Journal: "Take I-84 to the Simco Road exit. Turn right on Simco Road and proceed to the state highway. Turn right at the highway and proceed to Grand View. Turn right on ID 78 in Grand View and then take the second left-hand turn to Oreana. Make a note of your odometer. Drive through the little town and go past the old church on the Oreana road until it takes a hard left. Make the corner and then take an immediate right on Alder Creek Road (no sign). Follow the road six miles to BLM Road 700. Turn right on 700 and drive to an old corral at a two-way junction. The hike starts here."